These are the words of Pwanedo Justin, who fled his village in north-eastern Adamawa state when two headmen were killed on 3 December. This most recent attack by suspected Fulani herdsmen, as confirmed by eyewitnesses, appears to have been a reaction to the massacre of over 60 Fulani women and children in three villages in Numan Local Government Area (LGA) on 19 November by Bachama youths, whose Bachama tribe is predominantly Christian. 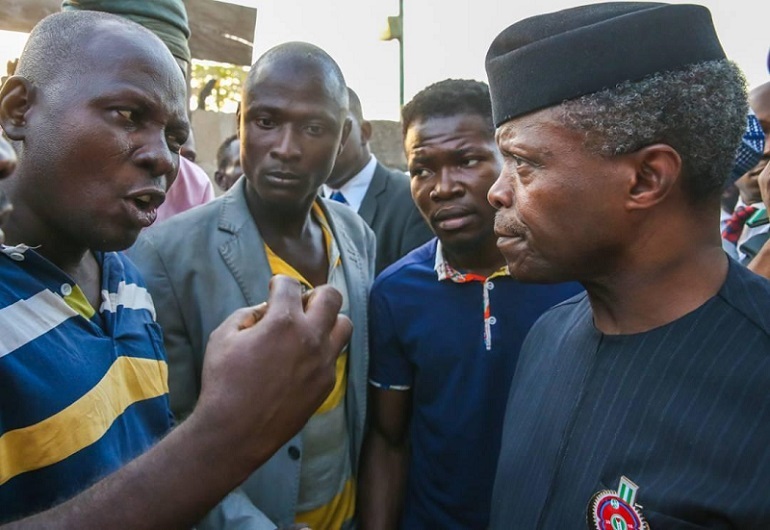 On Friday 1 December, there were concerns that Numan could be under attack by Fulani herdsmen. Policemen were deployed to Dowaya, a suburb within Numan, to provide security and keep peace. In response to this, the Fulani herdsmen brutally murdered six policemen. Two days after this attack, the herdsmen moved to Justin’s village, Dong, and nearby Lawuro in Demsa LGA. According to fleeing residents, the attack started at about 5am on Monday 4 December, when thousands of suspected herdsmen advanced first towards Lawuro, and then Dong. Both villages are less than 10km away from Numan. “These herdsmen are not the normal Bororo [pastoralists] we are used to,” John Dodo, a local resident, told World Watch Monitor. The herdsmen killed two village heads, Dabang Kayako and Ferdinand Boro of Dong and Lawuro respectively. They also set houses, churches and properties ablaze, destroying everything they came across. Other reports suggest that young girls between the ages of 12-14 were raped by the herdsmen. A contact from Numan confirmed that a military helicopter was sighted, giving the herdsmen some cover. The same helicopter is reported to have dropped bombs on Dong village, killing many civilians. The Nigerian Air Force (NAF) Director of Public Relations and Information, Air Commodore Olatokunbo Adesanya, confirmed the deployment of helicopters, but said they fired “warning shots”, and weren’t shooting to kill. However, several villages are reported to have been completely destroyed (Dong, Lawuro, Kodomti, Shafaron, Nzoruwe and Shemun), while more than 50 were killed and thousands left homeless. The spokesman of the state police command, Othman Abubakar, confirmed the attack on the villages and the killing of the village heads. However, there has been no official or independent confirmation of the exact number of people killed. What is clear, though, is that following the attack, both private and public schools were closed, while thousands were displaced and are now missing. The government has deployed over 400 anti-riot policemen and a sizeable number of military personnel to the area. Whether the deployment of security services will be effective remains to be seen. Bachama Youths, a predominantly Christian group, has threatened to wipe out the Fulani herdsmen if the federal government will not stop them. To confirm this, a witness told local media: “I was on my way back from Numan town market when I saw smoke billowing out from our settlements, and minutes later I saw some Bachama militia, numbering about 150, coming to our settlements. Alhaji Saidu Maikano, the National President of Jonde Jam, a pan-Fulani group, has vowed to hold a national stakeholders’ meeting to respond to recent attacks by its members. The ongoing Fulani herdsmen attacks in Adamawa, particularly in Numan and its surroundings, are clearly linked to the government’s failure to tackle previous atrocities. The conflict has occurred on the backdrop of Boko Haram killings in the north, where most of the victims have been Christians. The government’s inability to address the plight of Christians, including discriminatory policies where Muslim victims are given priority over Christian ones, have deepened the sense of injustice within the Christian community. Many Christians who escaped the Boko Haram conflict have found solace in towns like Numan, Yola and Ganye. Consequently, the Fulani herdsmen atrocities in Numan are seen as deliberate attempts to target such Christians. Again, the conflict is linked to the government’s neglect in addressing previous killings carried out by Fulani herdsmen. A few days after the Numan attacks, the Catholic Bishop of Yola, Stephen Mamza Dami, outlined how Christian communities were attacked in both 2016 and early 2017, but that the government did nothing to address the situation. The implication of the herdsmen’s conflict in Numan is huge for Nigeria in general, and for Adamawa state in particular. Ordinary people are still reeling under the weight of Boko Haram attacks, and accuse the government of discriminating in its intervention. During this festive period for Christians, the harvest of farm products remains the ultimate source of livelihood, and the means for celebrating the season of Christmas. The current level of insecurity means that these farm products will be left at the mercy of the herdsmen, adding to the level of food insecurity in the area. Most of the atrocities appear to be deliberately committed by the Hausa-Fulani Muslim herdsmen, who use sophisticated weapons against ordinary unprotected communities. The conflict itself has spread from Southern Kaduna to Benue, Taraba and Nasarawa states, and now Adamawa. Despite the atrocities, the government has not arrested or prosecuted any herdsmen. No commission of enquiry has been set up to investigate the previous killings carried out by Fulani herdsmen in Christian-majority communities in Adamawa, and with the mandate to make the results of the investigations public. Rather, calls were made to set up a commission of inquiry when the 60 Fulani herdsmen were killed in Numan. Again, on 26 November, the Sultan of Sokoto, who acts as both a Muslim religious leader and chief custodian of tradition, warned against the killing of Fulani herdsmen not just in Adamawa but in the country at large. He has massive influence within religious and political circles. Therefore, a highly placed-religious leader like him should condemn all killings, any killing, irrespective of religious, ethnic and political affiliation. To be seen as justifying the atrocities of the Fulani herdsmen against other ethnic and religious groups portrays him as sectarian leader who is insensitive to the victims of previous killings from other ethnic groups. This came on the heels of the fact that Nasir El-Rufai, the governor of Kaduna, stated in December last year that his government had paid herdsmen, not prosecuted them, in an attempt to stop the atrocities. Additionally, the administration of President Muhammadu Buhari, having prescribed the Indigenous People of Biafra, IPOB, as a terrorist organisation, has failed to do so with the Fulani herdsmen, although the herdsmen are adjudged to be more dangerous than IPOB. 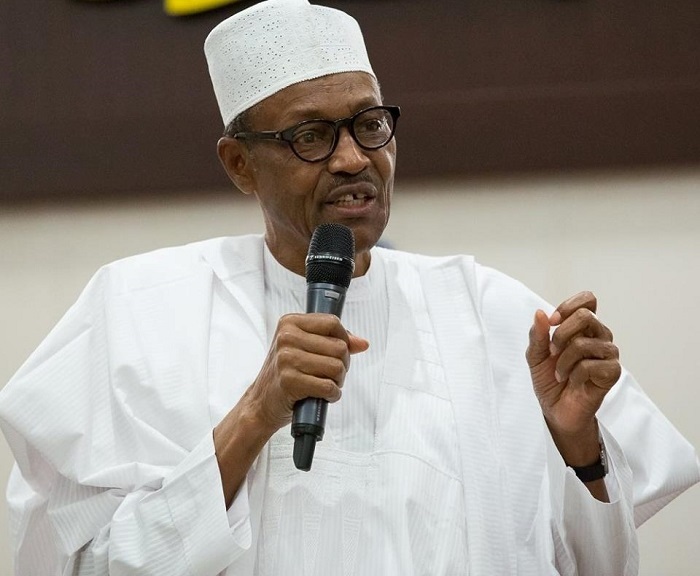 For the president to prescribe IPOB, a predominant Christian group, a terrorist organisation, and then turn a blind eye to the atrocities of his kinsmen, the Fulani herdsmen, who kill and maim Christians with impunity, indicates a grand design to intimidate, threaten and dominate other groups that are not Fulanis or are non-Muslims. 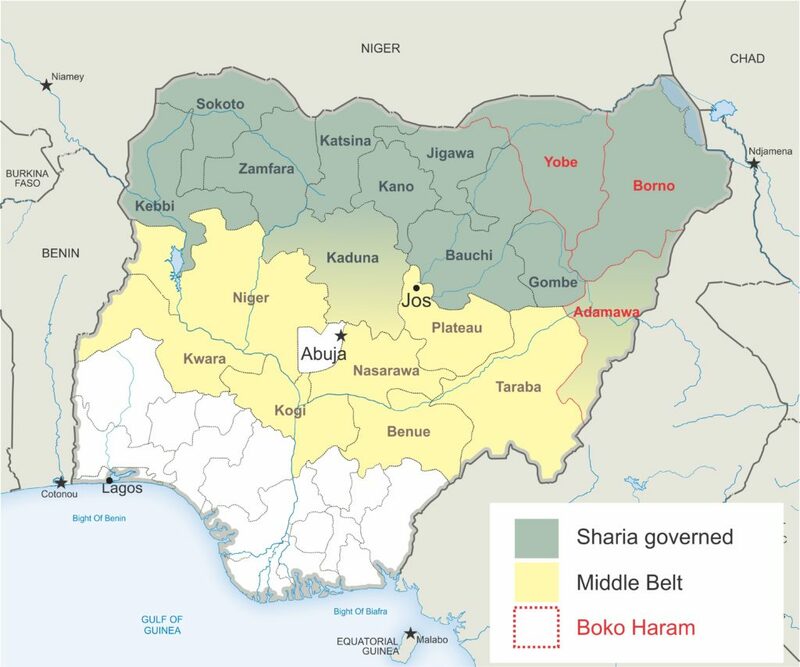 The general impression is that minority Christian groups in northern Nigeria are treated as second-class citizens. Again, it appears that the life of a Fulani herdsmen is superior to that of minority Christians, and that the government is out to protect only Fulani ethnic groups. If the government fails to proscribe the activities of the Fulani herdsmen, modernise their way of grazing and ensure the security of lives and properties of all citizens, then reprisal attacks are likely to increase. At the moment, the Fulani herdsmen attacks remain the single most dangerous threat to Nigeria today. *Dr. Atta Barkindo, Deputy Director at the Kuka Centre, has written extensively on violence in central and NE Nigeria.